Original general manager, Jim Sevey, and present general manager Chrystal Parker, cut the ribbon at the grand re-opening following recent major renovations. The McDonald’s in Winslow, owned by Mike and Lana Ortins, gave away more than $1,500 at the restaurant’s grand re-opening and ribbon-cutting ceremony on Saturday, June 16. The ceremony began with an official flag raising from Richard Poirier, a Bronze Star recipient and veteran of the Korean War, while the Winslow band played the Star Spangled Banner. 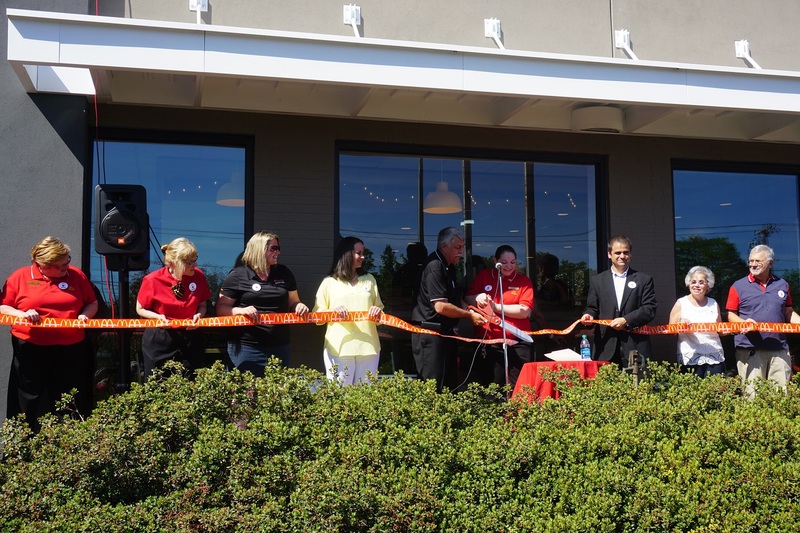 20 percent of that day’s sales from 9 am to 1 pm, along with a check for $1,000, was also donated to the Winslow Parks and Recreation Department. 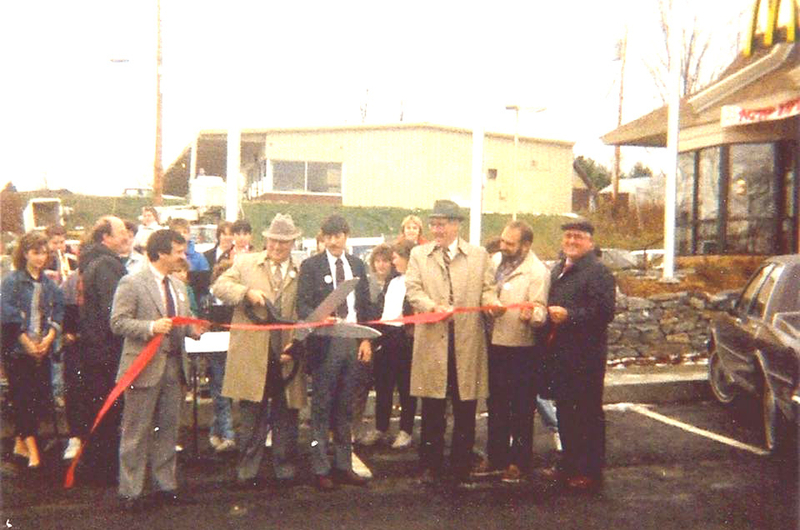 Above, during the 1987 grand opening at McDonald’s, in Winslow, Bob Ortins, far left holding the ribbon, and original general manager Jim Sevey, right in black jacket, cut the ribbon. 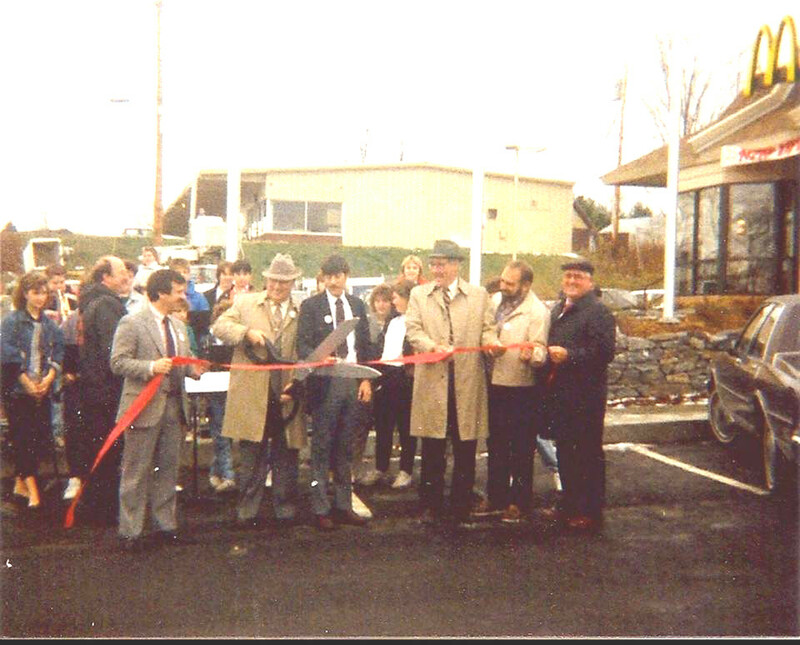 Current owner, Mike Ortins, can be seen directly behind the man holding the scissors, wearing a red and white shirt with a dark jacket. 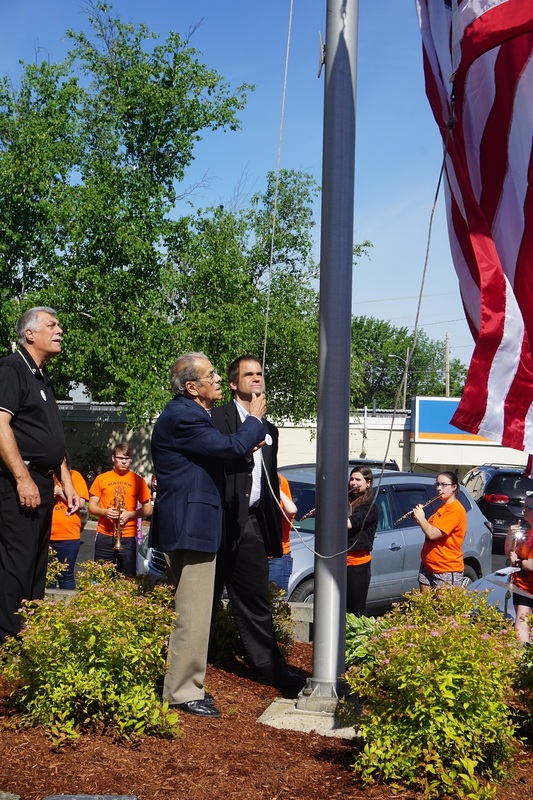 Veteran of the Korean War and winner of the Bronze Star for bravery, Richard Poirier raises the flag to kick-off the grand re-opening ceremony. The Winslow High School band plays in the background. 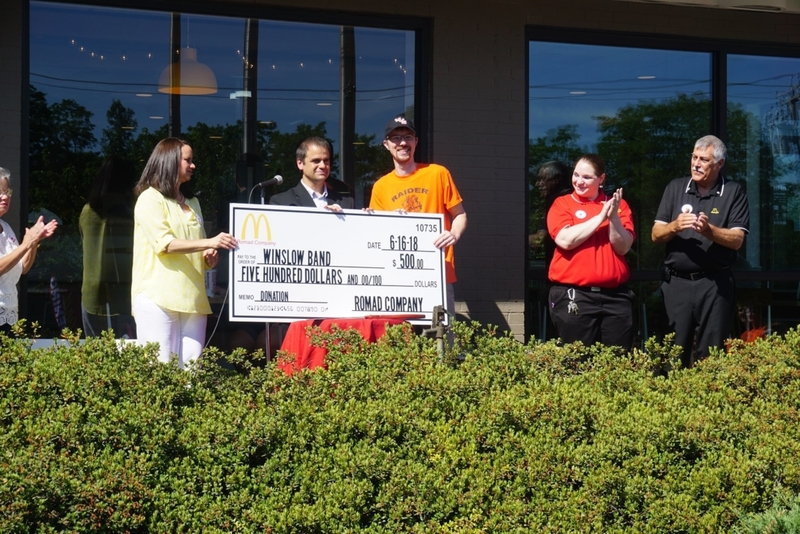 Mike and Lana Ortins present a check to Winslow Band Director Ben Clark. 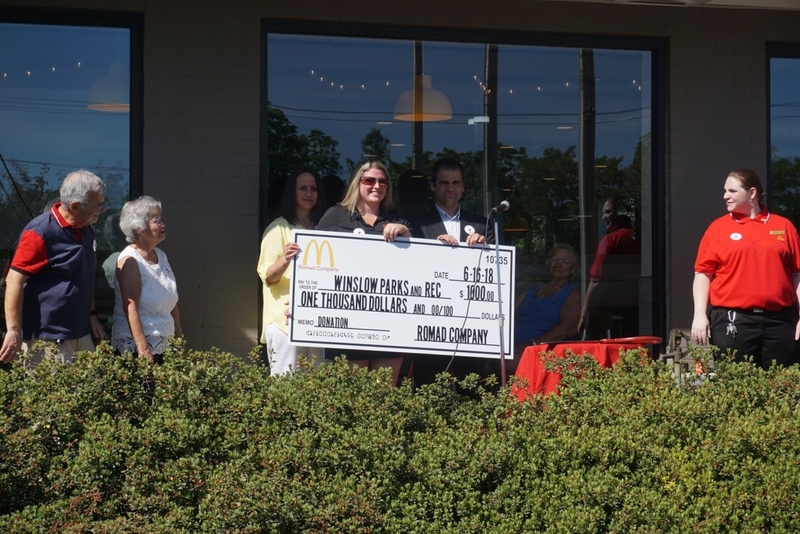 Mike and Lana Ortins present a check in support of Winslow Parks and Rec to department director Amanda McCaslin.